Most students are unable to pay their loans timely. Whatever loan type if you do not pay loan installments on time then it will become a problem for you. To avoid creditor harassment, students generally file for bankruptcy. 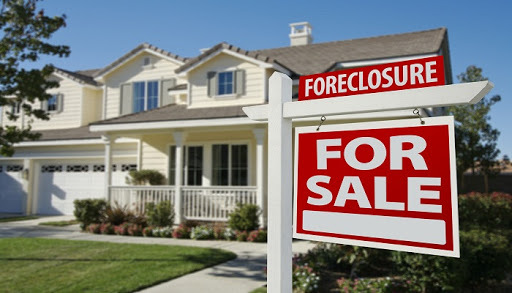 In America 1% people file for bankruptcy in order to avoid foreclosure on their homes. And some people try to cut down and reorganize debt by filing for bankruptcy. Nothing can be more complicated and stressful than filing for a bankruptcy in court. Filing for a bankruptcy without having proper knowledge of court rules and bankruptcy laws has a very low success rate. For an easy and successful bankruptcy case, you are not allowed to make bankruptcy blunders that could increase the chances of having your case rejected by the court. The main reason behind most rejected bankruptcy cases is hiring a wrong attorney for the job. Hiring a wrong attorney can make blunders that can put you into a big loss. For many attorneys, bankruptcy filings have become a volume business. Debtors are getting inferior legal services from attorneys that put them into loss. For this reason, you’ll need to do some research before hiring a bankruptcy lawyer. Here are a few things according to Brian Linnekens that you have to look in a bankruptcy lawyer before hiring him or her while filing for a bankruptcy. Bankruptcy attorney’s fees may vary by region. In America for Chapter 7 bankruptcy, fees ranges from about $1,000 to $2,500. In the case of bankruptcy you get what you pay for. Decide your budget, but remember the fact that attorneys who advertise their fees on their website or charge below the prevalent market fees work on volumes rather than on quality. Never pick up these kinds attorneys. They may take as many cases as possible at the lowest rates possible, with only one objective to make money. Be prepared to spend at least $1500.00 on a bankruptcy case. Although, pricing of bankruptcy depends on the number of creditors involved, judgment liens, and the complexity of the matter. Try to not go for a cheap attorney. Invest on some quality lawful services to ensure that your assets are protected, and creditors are no longer knocking on your door. Make a list of potential bankruptcy attorneys of your area and try to narrow down your list by doing some research on yelp or other portals that can help you find a good attorney just like you do when you search for the best hotels in the city. Consider checking their ratings and customer reviews on yelp and other websites. Make sure the attorneys on your list actually practice bankruptcy law. When hiring an attorney, do not pick one without checking him online. If you have picked one do not finalize a contract with him for filing your bankruptcy before talking to their previous clients. Ask their previous clients if the attorney communicated with them in a timely manner or not and did he answer all the queries on time or not. It will assure you that they actually serve in the best possible manner. There are countless of websites available that would help you to find a potential attorney where they list their practice and specialization areas. Make sure that the attorney is licensed and has gone through the necessary practices and qualification of bankruptcy lawyer. Choose an attorney that is familiar with the local rules of your district and knows the trustees. It will help you go smooth throughout the case. Your Credit Report contains all the information about you: your name, address, your financial health checkup almost everything. According to Brian Linnekens in the present economy this is the most essential document that should be in order. Even a single mistake or error on the credit report can spell doom not only for an individual but also for the whole family and everyone who is depending on you for finances. Not many people are aware that they can challenge the errors and get them rectified from the credit reporting agencies. In fact Brian Linnekens informed us that a majority of the people will accept and live with the fact that their credit reports contain an error that is hampering their chances of getting a loan or finance for something that they really need. These people are under the impression that the credit bureaus do not have ears and are not going to listen to them. Sometimes people don’t even have an idea that something is wrong on their credit report since they never go through them in detail. Brian Linnekens stresses the importance of keeping an eye on your credit report since you need to be aware of the various changes that take place on it. Almost all transactions that you make in terms of your finances are there on the credit reports. Keeping an eye on your credit report serves quite a few purposes that are really important. You can be alerted in cases of identity theft. If someone has been using your name address or phone number to carry out financial transactions that may hamper your long term financial health. Frauds carried out in your name can be easily detected if you are watchful in terms of your credit report. If ever you find an error on your credit report you have full right to rectify it and since it does not involve any heavy costs it is the best thing to do without even getting professional assistance. However if one opts for professional assistance chances are that things will move at a better pace feels Brian Linnekens, an expert in financial matters. To correct your Credit Report you need to get in touch with the credit reporting agencies that is Equifax, Experian and TransUnion. Make sure you have identified all the items that you are disputing on your credit report. Your statements in your correspondence need to be crisp and clear so that the Credit Unions are able to process your request fast and precise. You have full right to dispute and apply for correction or deletions for the items that you think have been wrongly placed on your credit report. Make sure you attach copies of the supporting documents that you are sending in to substantiate your claim for a correction. Send all the documents and correspondence to the credit bureaus via certified mail, return receipt requested so that you are aware that they have received your request. The Credit Bureaus will investigate your claim and remove any errors or red marks that are present due to oversight or wrong reporting however the changes will only be visible when the next credit report is going to be generated which may have a TAT of 90 days. Credit Reporting is one factor that keeps almost all Americans on their toes. Although it’s a simple process and a simple reporting yet people are scared to death at the mere mention of a credit report observed Brian Linnekens. There are many myths that have made their way into the public domain via word of mouth. Myths don’t have any solid ground yet people are scared because of ignorance as to how credit reporting is done. Once individuals know the process and the fact that credit reporting and credit scores are for the befit of the common people and can be used to increase their individual borrowing capabilities it becomes quite easy to manage everyday finances that have become sort of burden for the average American these days. Experts like Brian Linnekens suggest people to at least have a look at their credit scores at least once a year. As major credit reporting agencies provide a copy of your credit score every year space them out so that you have an even chance of checking your credit score every four months that will ensure that you are not ignorant of your financial health. Having a mere look at your credit report is not going to take you anywhere. You need to be able to tell the facts from the myths that surround credit reporting suggests Brian Linnekens. People keep wondering why they are not qualifying for a debt with a low APR in spite of settling all previous debts where some problems persisted. Well the truth is that settled debts don’t get dropped from your credit report. Late payments and bad debts are not dropped instantly from the credit report even though they have been settled amicably. The late payments and bad debts are there on the credit report for a good seven years. Even worse a bankruptcy mark will be there for ten years on your credit report. There are many who believe if they stop using the credit card their credit score will shoot up. This is not the case you may use cash for all your purchases but that is not going to make any difference to your credit score. Don’t stop using credit instead use it responsibly. Making your payments on time will surely give you an advantage and you are sure to receive a benefit in your credit score if you start using your credit card more responsibly. Closing on a credit card can do more harm than good. Agencies involved with credit reporting need to see a low credit utilization which is the ratio between the credit you are using and the credit that is available. Thus closing a credit card will reduce this ratio as you are not decreasing the outstanding credit but you are closing on the available credit. Don’t be afraid to make inquiries about your credit rating advises Brian Linnekens. It hardly affects your credit score if you are making soft inquiries for personal reasons. But if a bank or a financial institution is making an inquiry then there is a small effect on your credit score. The effect is small but it is measureable. Thus the best option is to make a soft inquiry if you are in a doubt about your credit score. A high income is does not affect your credit score. Since credit score is a measure of how you manage your credit thus income plays a negligible part in the credit scoring. However Brian Linnekens says that if you have a fat paycheck make sure you manage your credit in the best possible manner as it will surely help in a better credit scoring. Are you presently bewildered lately as to why your credit history will be straight down or even why a lot of the financial institutions have refused your request with regard to a loan? Most likely your credit history moved lower without your knowledge. Mistakes and oversight from one or several finance institutions is quite mainstream according to Brian Linnekens however, these errors which are simple to the banking institutions have significant consequences for anyone who is looking for financial aid, bank loan for an automotive as well as mortgage with regards to household. In the beginning you need to have firsthand information regarding your current credit scores. This is effortlessly created by going on annualcreditreport.com and opening your credit report cost free if you haven’t received a copy regarding the same within the past 12 months notifies Brian Linnekens. If you live outside the US and wish to access your free credit score you can get the same by means of ftc.gov. Upon getting the Credit Report along it’s simple for you to determine if your credit track record is in order or if perhaps it requires a alter as a result of miscalculation from the Credit Bureau’s end as well as from one of your Creditor’s end. You probably have poor credit which is unexpected you will want to pull your credit score from all three credit rating organizations specifically Equifax, TransUnion, and Experian. Every one of these operate independent of each other and don’t reveal information. The power as well as logic behind taking out your credit reports is you can find the problem in reporting. If one of the credit agencies is actually goofing up on your credit rating then a error won’t be visible on the other 2 although if the corruption is on part of a banker then each of the three bureaus will reflect it. Next thing is to file a issue with all the credit agencies concerning the erroneous reporting of the credit ratings. You can go to the website to do this. Ordinarily each and every credit union incorporates a form on their website that lets you file your trouble with them. While filing that issue make sure you deliver highest information regarding your monetary ventures as well as needs they are inquiring for. Don’t worry websites like these are safe and don’t share details with any 3rd party as a result your information is as secure as it is together with you. Brian Linnekens in addition says that after submitting the actual grievance you have to be patient since the Credit Unions have their own turnaround time for settling any issue with the unfavorable credit comments. This kind of turnaround time can vary from a month to 45 days. Most of these Credit Unions possess their own tactics and methods to investigate any issue that has been raised along with these folks. Aside from that you’ll want to submit the data properly so that your issue can be expedited. If the Credit Unions want to get more information through you the particular negotiating course of action will only expand. When the issue has been resolved you must file the actual documents and keep all of them in risk-free custody to ensure that in the event that in future the matter arises once more you can easily come with the previous documents that you’ve along with you. Pros similar to Brian Linnekens will always be there to guide and explain the correct tactic to deal with the particular negative marks on your own credit rating. People are continuously looking out to lessen their monthly installments or even get their loans diminished no matter if it’s home financing, car finance or simply a personal cash loan or maybe personal credit card debt. In accordance with Brian Linnekens this particular craze is an on-going method within the monetary world on account of the slump from the global economy where individuals are finding it hard to make both ends meet. In this state of affairs arrives the function of any debt management provider. Before dealing with virtually any Debt Management Provider you’ll want to check some things with that organization shows Brian Linnekens. 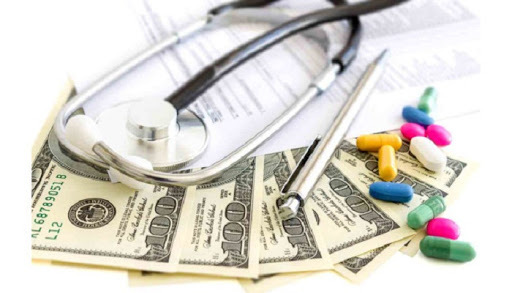 You should find out if this company is usually authorized in your area, you need to realize the services they are delivering combined with premiums they may be demanding for a particular service. Aside from that as a client you ought to be conscious of your current privileges so the Debt Management Organization is reasonable together with you while working your case. According to Brian Linnekens a Debt Management Business may offer a range of solutions for instance counseling on budgeting. They will likely likewise direct you in preparing for the strategies that will make certain you pay off your financial obligations. Credit Repair is another service that’s supplied by Debt Management Companies. Sometimes it is feasible for you will discover damaging marks on the credit history without the fault of yours. This is why your debt Management Company will assist you to get over those negative credit marks of yours. Loan modification can be carried out by using these kinds of Debt Management Companies. When someone is applying for bankruptcy, Debt Management Companies may play an important position in helping anyone seek bankruptcy relief chapters. You can approve these debt management companies to work on your behalf and have your loan marked down coming from the actual businesses the spot where you have gotten your loan from. There’re qualified in addition to qualified to talk to a bank or a Credit Union. You can find legal professionals that are registered in addition to qualified by the government to offer debt management services. Such attorneys are a good option as they quite simply have represented varied cases and have inside out knowledge of his or her company’s position additionally, the functioning of financial organizations. Law firms often carry own attention in the financial things there’re representing for their particular customers because price of those solicitors is determined by the result of the result of the portrayal these are creating before the financial institution. As well as that the particular legal professionals would need to protect his repute to get a growing number of clients for themselves. Anyone undergoing a home loan modification or almost any financial modification together with the particular creditors along with a debt management company should never sever the communication lines with the banker because it may go against the person. More often than not Debt Management companies will tell you to prevent all communication with the creditors which is a completely wrong practice. An attorney will ensure that you receive the great offer while entering into for a financial arrangement with your client while a Debt Management company functions upon fixed details which consists of workforce keeping their particular individual preferences above the ones from your customer. Brian Linnekens has been practicing law for over a decade. One of the most groundbreaking services that Mr. Linnekens has developed over the years is based in the Fair Debt Collection Practices Act. The Fair Debt Collection Practices Act, commonly referred to as the FDCPA, is a Federal law designed to protect consumers. According to Brian Linnekens, the FDCPA clearly spells out clients’ rights and prohibits debt collectors from using dishonest and abusive methods of collecting money owed, such as those described in detail below. Brian Linnekens has developed methods and means to prevent debt collectors from taking any of these actions. Although it is impossible to completely stop debt collectors from violating the FDCPA, Brian Linnekens can help minimize the violations that occur, and can hold those collectors who do violate the FDCPA accountable for their actions. This website is designed to provide only general information. Nothing contained herein constitutes legal advice, nor is it intended to offer legal advice. Use of this website is not intended in any way to create or even to convey the impression that such use of this website by any person, organization or entity of any nature and/or kind constitutes any attorney-client relationship whatsoever. Brian Linnekens does not make any guarantee as to the accuracy or currency of any information contained in or created through use of any link to another website contained in this website. 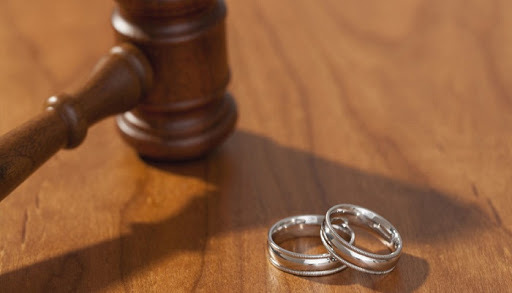 You should consult a lawyer for individual advice regarding your own situation.